BATON ROUGE, La. 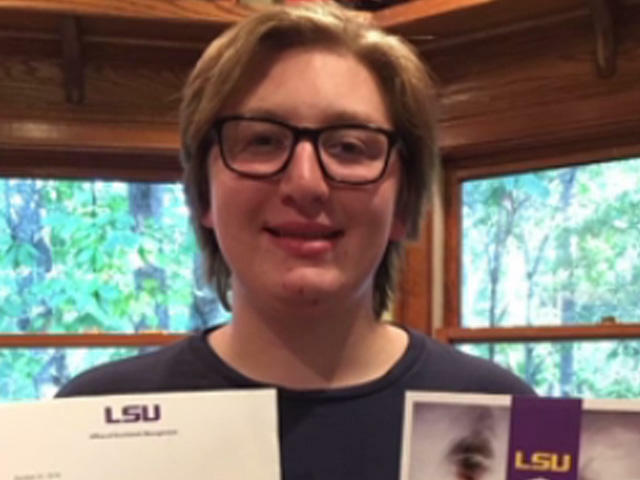 -- A grand jury has indicted four people on charges in the death of a Louisiana State University student whose blood-alcohol content was more than six times the legal limit for driving. The state grand jury issued the indictments Thursday, six months after 18-year-old Maxwell Gruver's death. The freshman from Roswell, Georgia, died at a hospital Sept. 14 after Phi Delta Theta members found him lying on a couch at the fraternity house and couldn't tell if he was breathing. The jury indicted 20-year-old Matthew Alexander Naquin of Boerne, Texas, on a charge of felony negligent homicide, and three others -- Patrick Forde, Sean Paul Gott, and Ryan Isto-- on a misdemeanor charge of hazing. The felony charge is punishable by up to five years in prison. The misdemeanor is punishable by up to a maximum of 30 days in jail. Pledges told investigators the main members doing the hazing were Naquin, Gott and Isto, and most people interviewed said Naquin was the most aggressive, according to the warrant. One member said Naquin was yelling and forcing the pledges to drink Diesel by taking "pulls." A pledge who was next to Gruver during the hazing said Gruver was made to take at least 10 to 12 "pulls" of Diesel, the warrant says, while other pledges said they took three to four at most. Another pledge told investigators he believed Naquin and Gott were singling out Gruver more than the others because Gruver was frequently late for events. A witness told police that Gruver was "highly intoxicated" when fraternity members laid him on the couch and left the house sometime early that morning. The next day, he was dead. The fraternity's national office said it closed the chapter after Gruver's death. LSU president F. King Alexander said in a statement released to CBS affiliate WAFB that the university is taking steps to "change the culture" on campus and is beginning to issue decisions following an internal student code of conduct investigation. "Our thoughts continue to be with the Gruver family during this difficult time. As I've said previously, the ramifications of hazing are devastating," Alexander said. "Today's decision by the grand jury furthers the fact that behaviors that threaten the safety of our students will not be tolerated. Hazing is dangerous and unacceptable."